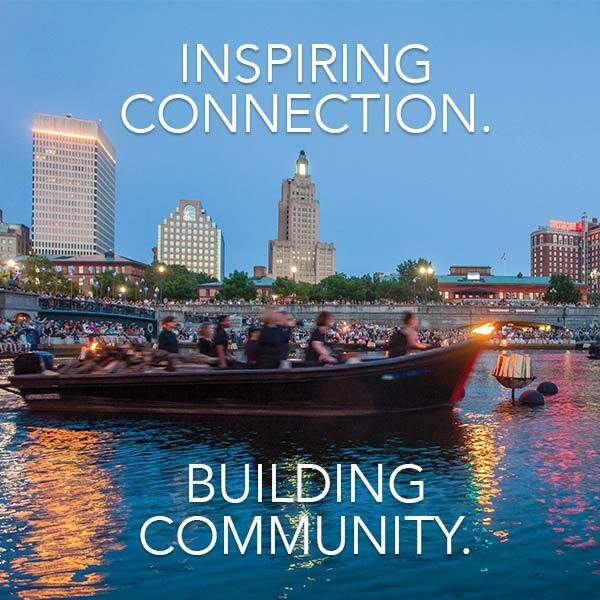 Become an Ambassador of Light and directly participate in illuminating the city of Providence! 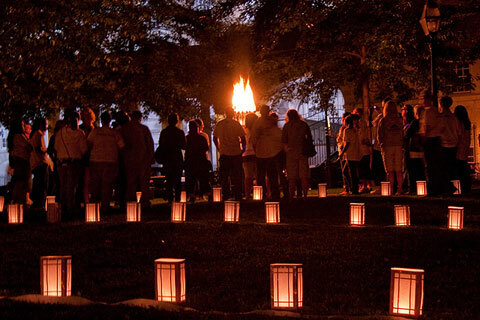 For a $5 donation or more, WaterFire Providenceinvites you to dedicate your paper lantern with a commemoration, a hope, a wish, a rememberance, your name, or the reason for your visit to WaterFire. You will light your candle lantern and be led into the park where you will place it in a special spot. All the dedication cards are saved and preserved in a book at WaterFire. 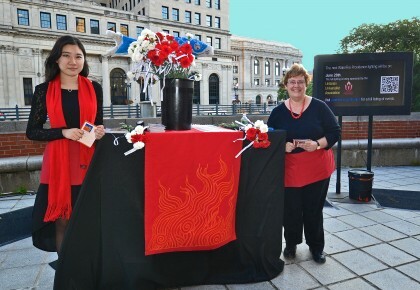 Support WaterFire Providence by visiting our volunteers, sporting red aprons, at Official Guest Stations throughout the installation and make your contribution of $2 or more. Every dollar goes to support WaterFire. For your donation you will receive a gift of a luminous blue Ribbon of Light. Give what you can and become a part of the artwork and join the river of light. 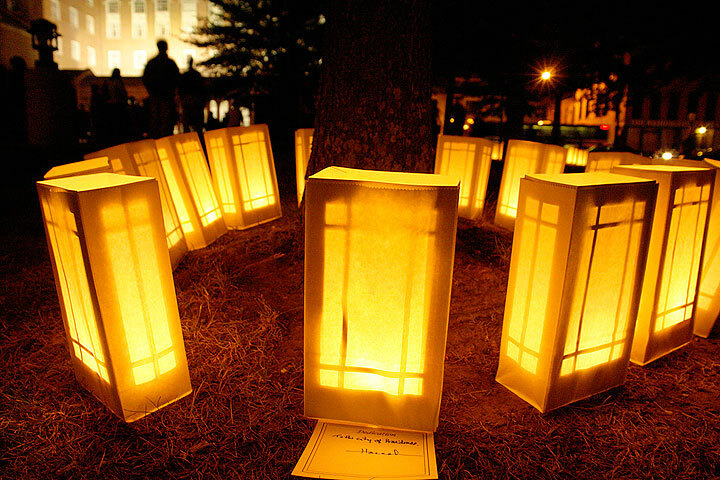 Ribbons of Light was originated by Barnaby Evans, artist and creator of WaterFire. His vision is that all who attend WaterFire will become active participants in the art installation by wearing a glowing blue necklace called a Ribbon of Light! Imagine thousands of people walking along the river banks, making blue waves in the night, creating a flowing, glowing, river of blue – an ever-changing kinetic sculpture and another layer of visual and poetic rhythm! Please note that the commercial vendors selling flashing light-up novelties are not sanctioned by WaterFire and do not contribute to the event. Ambassadors of Light, photo by John A. Simonetti. Our wish is that with your support, we can make many more wishes come true! On June 13th, 2009 Barnaby Evans and WaterFire Providence unveiled the most “stellar” project to date – one that asks you to dream big and share your wishes with the world. A wish for peace; a wish for love; a wish for grace; whatever your wish may be, come and share them at WaterFire and help us create a spectacle in the sky. 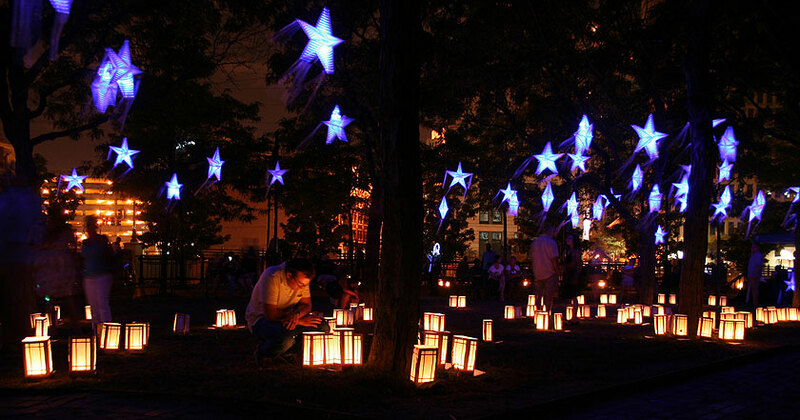 Starry, Starry Night will be featured at all upcoming full lightings of WaterFire. Add your light to the night by writing your wish on a ribbon and attaching it to your own star and hanging it in the constellation in Memorial Park for a $10 donation. Please join us by making a wish and adding your light to the night. Let WaterFire add light, joy & art to the special moments in your life by creating a signature, once-in-a-lifetime event for you! 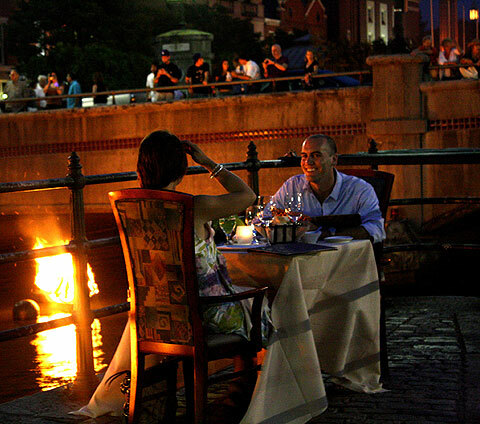 Did you know that WaterFire works with visitors to create incredibly romantic marriage proposals at the event? Or unforgettable dates for couples; whimsical birthday parties; fun wedding observances; and moving memorial tributes? Make your donation to WaterFire in honor or in memory of those who have inspired you to help Keep the Fires Burning!